Born into a close knit family in Chicago, Michelle Robinson was a star student who graduated from Princeton and Harvard Law. Then in 1992, she married another promising young lawyer and the rest, as they say, is history. It is undeniable that President Barack Obama has changed the United States but so has Michelle Obama, the self proclaimed "Mom in Chief." This compelling, easy-to-read biography is illustrated by New Yorker artist John O'Brien. 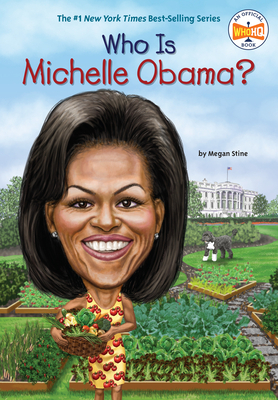 Megan Stine has written several young biographies, including Who Was Sally Ride?.